My mother-in-law was the perfect idol for any homemaker. 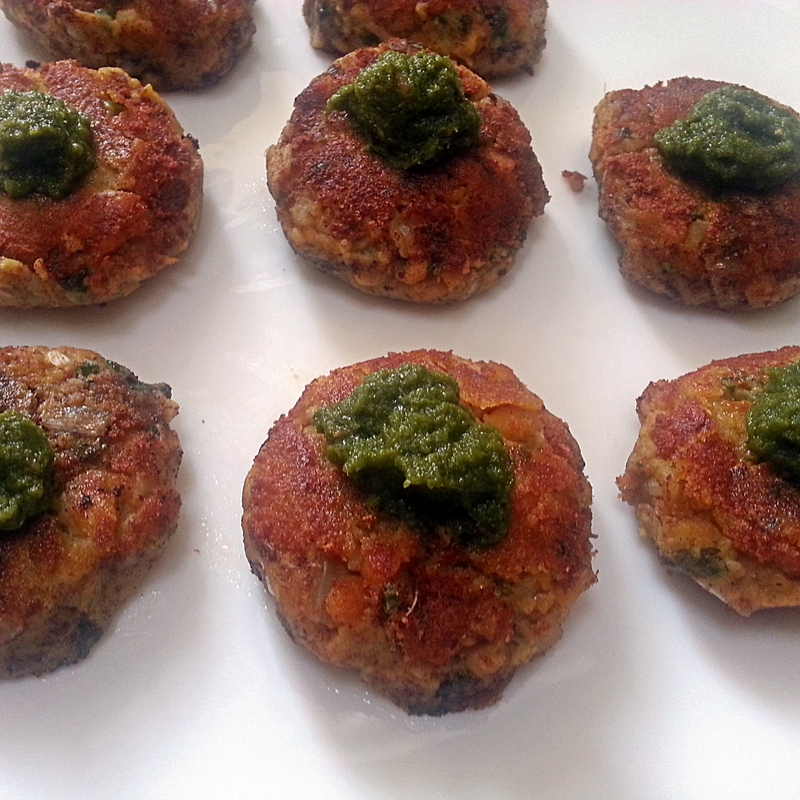 A fabulous cook, from exclusive Bengali food to simple Dhal Kebabs. Her food was heavenly, as long as she was fit enough the kitchen was her territory which she took pride in. I never got to know the recipes but our old family cook had over the years learnt them all from her. After my mother-in-law passed away, whenever i asked my cook to tell me something, she would ask me to sit back and relax and let her do the job. She feels insecure about sharing those special ingredients and recipes which have over the years made her irreplaceable. Today when i showed Guddie (my cook) my blog, she was soo excited she finally agreed to let me in on few of my mother-in-laws recipes. 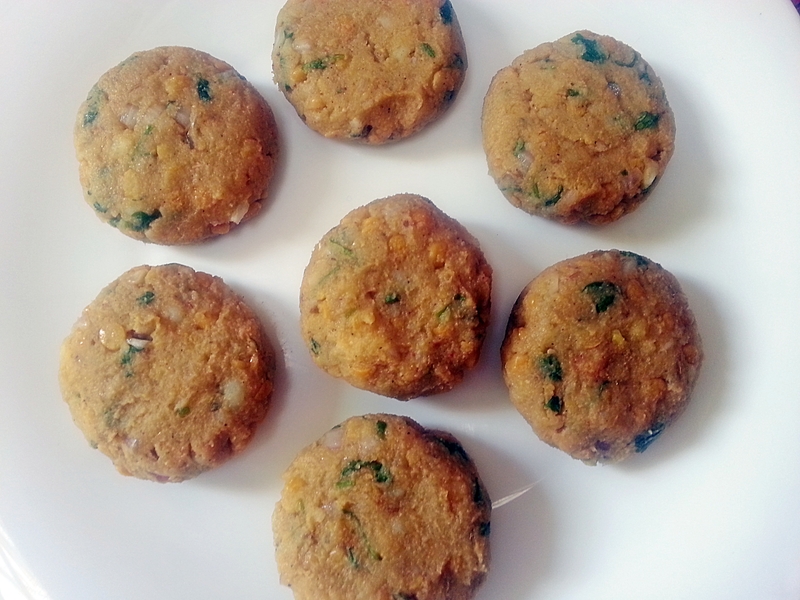 The #1st lesson today was the amazing vegetarian treat which is always available in my kitchen to serve – Dahl Kebabs, which taste nothing less than Shami Kebabs and are loved by both my vegetarian and non-vegetarian friends and a special favourite of my husband. They are the perfect anytime-and-always available savoury snacks in my life, for all those times when an unexpected guest arrives. Put the first nine ingredients and the water into a large pan with salt , and bring to the boil . Simmer covered until the dhal is cooked . Remove the lid and cook on high flame for a few minutes , to reduce the excess liquid . Set aside to cool. Transfer the cooled mixture to a food processor or blender and process to a rough paste . 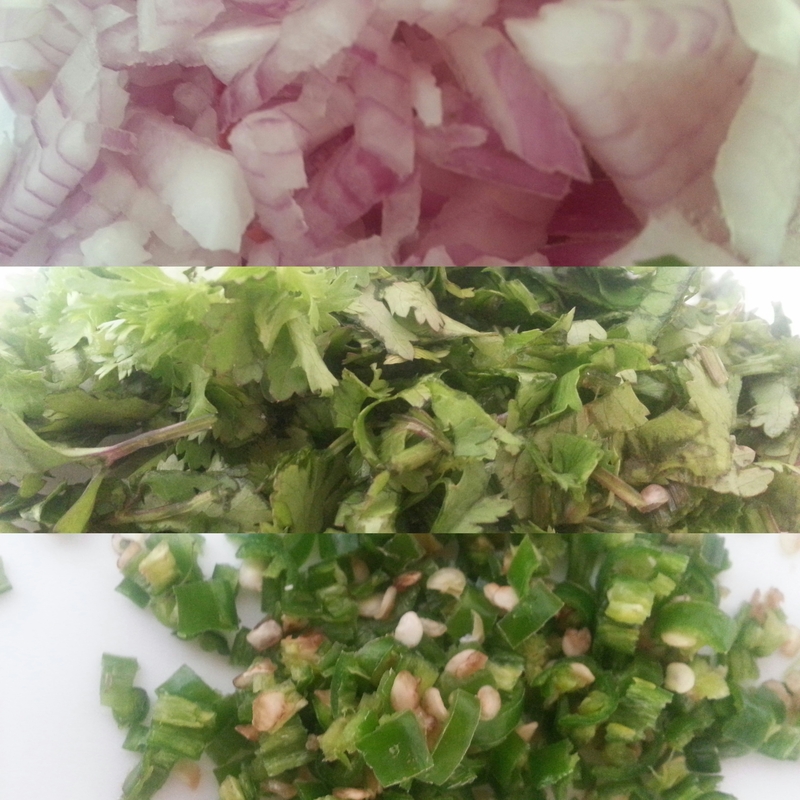 Put the paste into a large mixing bowl and add your chopped coriander leaves, chopped green chillies and very finely chopped onion.Mix thoroughly to make sure the ingredients are evenly distributed through the mixture. Use your clean hands to roll out 10-12 even -size portions roll each into a ball then flatten slightly. Heat the oil in a large non-stick frying pan and add the kebabs (few at a time )and cook over low heat until the bottoms have turned golden. Turn over and brown the other side. Pat dry on kitchen paper and serve hot with coriander and mint chutney. These look delicious, I can’t wait to give them a go!